When Christiane Kirchgaessner talks about the inspiration for Kaffee & Klatsch, her words travel from childhood memories in the family kitchen to pastry apprenticeships in world-renown restaurants. She was born in Argentina to a German mother and a Chilean father of German descent. Guided by her mother's love for cooking and entertaining, Christiane - and her three sisters - all started baking and cooking as teenagers. "It's always been my creative outlet," Christiane says, "I love to work with my hands and try new things." As a young adult, Christiane lived in Berlin and worked in restaurants. She shares, "I soon found that I enjoyed being around the variety of people and foods. I love food - both eating it and making it." This passion led her to study at The French Culinary Institute (now The Institute of Culinary Education) in New York, followed by apprenticeships in the city at Amy's Bread and the acclaimed Austrian restaurants, Wallse and Danube. 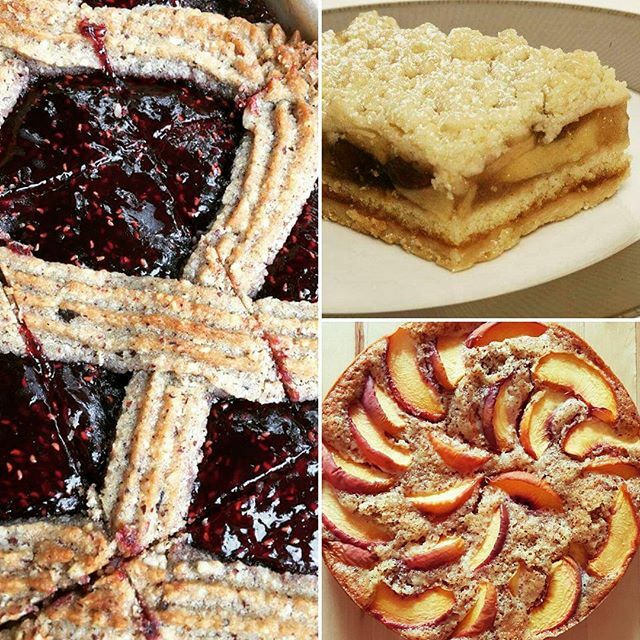 Today, influenced by her German heritage and hands-on experience in kitchens of its culinary wisdom, she creates her signature items: Linzer torte, Mohnstreusel (poppy seed cake), and Rote Gruetze (red summer berry pudding) - just to name a few. She continues, "In the U.S., we're familiar with French and Italian baking, but less so with German baking, so I wanted to give it a try." The literal translation of the word "bakery" into German is Backerei. Yet Christiane named her business with the German word, Backstube, because it has a slightly different sensibility. "A Backstube is a small and cozy place to come and enjoy a tea or coffee with cake," she explains. She started her business by selling at local farmers markets, and in this process, met several farmers from whom she often sources berries, rhubarb, pears, apples, and other fruits for her pastries.